Memorial Day is almost here and it's that time of year where we are invited to someone's home for a party, BBQ or some sort of soirée. Everyone knows a hostess with the mostess and when we get invited to an event, we want to bring something creative and unique. Since we would never dare show up empty handed, what do we get our generous host? The classic bottle of wine option feels a bit corked so below are my top ten hostess gift ideas for you to use as a guide. Tip: Purchase your hostess gifts in advance and keep them in your closet for upcoming events. This way you are ready to be a guest at a moment's notice and won't scramble last minute or rely on that same old bottle of wine. These Tisch New York coasters have a modern design that pair nicely with any style glass and home decor. I discovered them at a private sale in LA and quickly purchased two sets. The LA designer is originally from the East Coast and mentioned that she sold them at Barneys so I thought I would share. They make a great gift for just about anyone! Tisch graphic lines coasters shown in gold and silver. I purchased these in advance and styled them here on top of my favorite coffee table book, "Dior Couture" by famed photographer Patrick Demarchelier, $98. They are sold individually and come in different colors and patterns. Compliment your hosts' love of cooking and entertaining with this delicious Olive Oil Sampler Set. The quartet of oils and rich balsamic vinegar are from the Coldani family who have blended their Italian tradition with harvesting and farming olives in California for over 70 years. The set includes an award winning extra-virgin oil, basil, garlic and lemon-infused oil plus the aged vinegar from Modena Italy. These stylish and minimalist natural agate and stainless steel ANNA New York spreaders are by RabLabs. These look sleek on any table and can be used for a variety of spreads and cheeses. The set comes in a choice of three colors including azure, eggplant and smoke brown. Help your host serve in high style with this chic serving plate. The Jonathan Adler 1948◦ Oval Serving Plate is made of porcelain and the splatter of solid gold is a vintage design that is sure to please anyone who receives it. This is a nice statement gift and perfect if you are staying the weekend as someone's house guest. 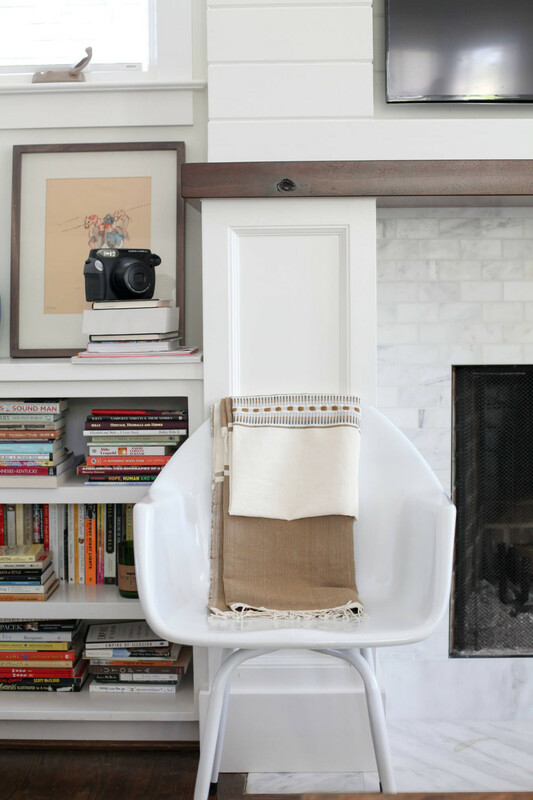 This gorgeous Mehari blanket is handwoven in Ethiopia and is from a socially responsible e-commerce company called FASHIONABLE. They sell products that range from leathers to jewelry to home goods. All of the items found on the FASHIONABLE site are designed and made by women in developing countries and each product helps to create jobs for women around the world. These blankets make lovely hostess gifts and can be used inside or outside. This Tiki Clean Burn Tabletop Firepiece is a perfect addition to any outdoor table décor. Built to provide warmth and light to any evening, the unique burner system reduces less smoke and soot than other similar styles. These pieces are priced well and can be bought in several gorgeous shades (shown in brushed silver below). This gift idea is a creative alternative to bringing a candle. Noodles made out of vegetables are a delicious way to indulge in yummy pasta recipes with all of the flavor minus the carbs. Bring over this spiralizer for your host who is sure to experiment with the clever and useful kitchen gadget. You can be the perfect guest and encourage healthy living with this one! I love this retro Boules/Bocce Ball Set from CB2. Perfect for a summer game night, the set comes with six etched steel balls that have been officially weighted as well as a target ball and scoring jack. This makes a great gift for the host who likes to entertain outside and throw backyard parties during summer vacation. One of the great indulgences in life is a chocolate truffle. Delight your host with a dessert they won’t need to feel guilty about with a box of 12 Rawmanctic truffles. This NYC based chocolate maker specializes in sweet and nutritious treats. All of the chocolates are hand crafted and made from organic ingredients. They are fair trade as well as dairy, soy, and gluten free. The set of 12 lets you mix and match the flavors to create a unique gift that your host with a sweet tooth will love. Pamper your host with this wonderful set of organic skin care products by Chandanni. The set includes one of my favorite organic moisturizers, an eye gel, face wash, and toner. Chandanni uses the highest grade natural products that offer healing for whole health and well-being. All products are vegan and cruelty-free. This is the perfect gift to help your host unwind or recover from a day or night of entertaining!